Your neck is designed to curve in such a way that it can hold the weight of your head without the support of your muscles. If you’re experiencing neck pain, it’s more than likely because your neck has lost its natural curvature. At Premier Health Chiropractic & Wellness Center in North Dallas, Texas, Dr. H. Khayal, DC, specializes in neck pain and can restore your natural curve to relieve pressure and reduce your discomfort. To get relief from your neck pain, call the office today or book an appointment online. Neck pain can also affect your ability to move your head or cause weakness in your arms or hands, which can significantly affect your daily activities. Viral infections can also lead to neck pain. No matter the cause, Dr. H. Khayal can provide the most appropriate chiropractic treatment to relieve your pain. When coming in for treatment, he conducts a comprehensive evaluation to assess your body, spine, and nervous system so he can determine the underlying cause of your neck pain so you get the most targeted and effective treatment. Premier Health Chiropractic & Wellness Center is equipped with some of the most advanced chiropractic tools available, including Ultralign, which Dr. H. Khayal uses to find the exact source of weakness in your spine. How can chiropractic care help my neck pain? Dr. H. Khayal is an experienced chiropractor who utilizes both traditional and advanced chiropractic treatments to help you get relief from your neck pain. 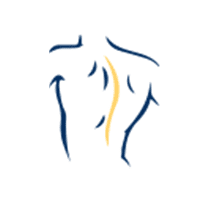 He doesn’t simply treat your symptoms but provides care aimed at the underlying cause of your neck pain so you get a full resolution of your pain. When treating your neck pain, Dr. H. Khayal uses exact pressure and massage therapy in a precise manner to properly align your neck and spine, restoring the balance of your neck and the weight of your head so that your neck muscles are relieved of some of the stress of holding your head up. While your focus might be on your neck pain, Dr. H. Khayal focuses on your overall health and wellness and provides comprehensive care that treats your whole body. For relief from your neck pain from a chiropractor focused on optimizing your health, call Premier Health Chiropractic & Wellness Center today or book an appointment online.